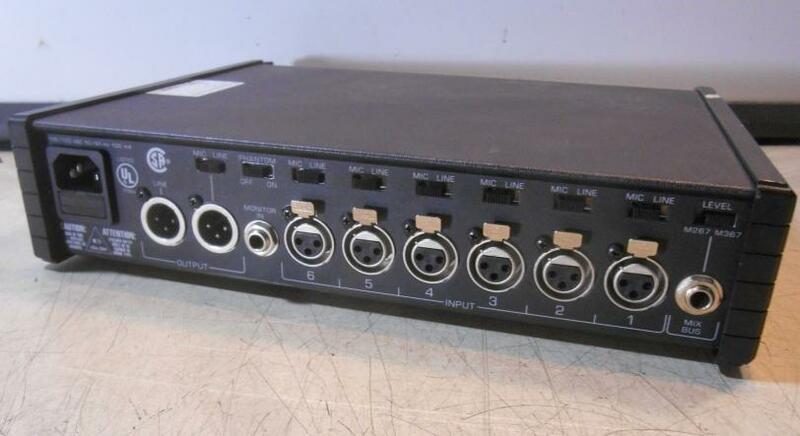 M367 Six Input Portable Mixer. The Shure M367 is a six-input, portable microphone mixer and remote amplifier specifically designed for professional applications in general audio mixing. Exceptional low-noise design makes the Shure M367 rack mixer ideal for use with digital transmission links and digital video/audio recording media, including ISDN and DAT. Compact and rugged, the M367 is built to withstand the most demanding field production conditions. In addition, its excellent performance, versatility and features make it an ideal choice for studio, remote, or sound reinforcement use, and as an add-on audio mixer for expanding existing facilities.